Join us for some of the best bonefishing on the planet!! Andros Island has developed a reputation as offering the best bonefishing on the planet. 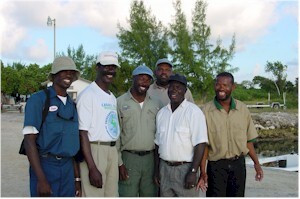 Andros Island Bonefish Club is conveniently located in Cargill Creek, Andros Town, Bahamas. Minutes from the famous "Westside" also known as the "Land of the Giants." The location of this club is part of what makes it so special. 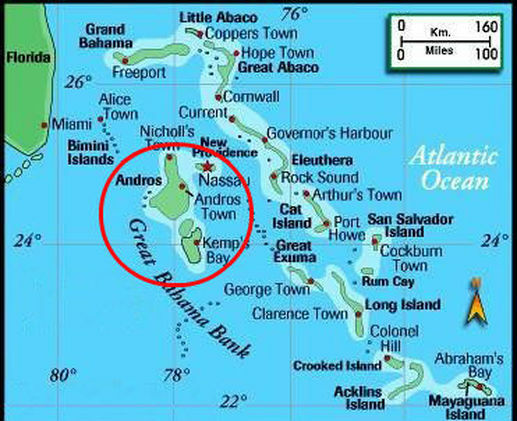 Located approximately 150 miles southeast of Miami, Andros Island is the largest island in the Bahamas chain, yet it remains the least populated. All of The Bahamas Out Islands boast abundant natural attractions, but Andros—the largest yet most sparsely developed of all The Bahamas—is the king when it comes to superlative natural experiences. It’s a great place for a laid-back beach getaway, wedding or honeymoon, but for ecotravelers, kayakers, bird watchers, hikers, snorkelers, divers and fishermen, the big island of The Bahamas is the ideal vacation destination. Travel to the island is very easy. 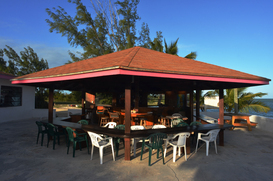 You need to get to Nassau, Bahamas via a major U.S. Airport and then we will recommend one of several local charter companies that can get you to Andros. The flights from Nassau to Andros usually run around $125.00 or less for the round-trip ticket. This can almost always be done on the same day of your arrival in Nassau so no need for an overnight. The club was started over thirty years ago by Captain Rupert Leadon along with the help of Lefty Kreh, Billy Pate, Mark Sosin and other greats. They recognized the need for a premier bonefishing destination and AIBC became the perfect example. Captain Rupert developed the reputation as being one of the best bonefish guides in the region and the club quickly became a legendary hotspot. Although Captain Rupert is no longer with us, his family continues the tradition today! 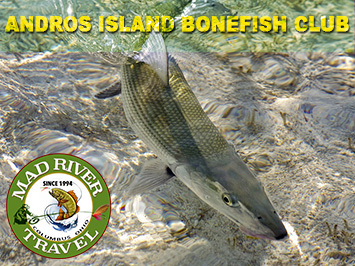 The Andros Island Bonefish Club is now recognized as one of the premier bonefishing lodges in existence today. AIBC takes you away from the distractions of everyday life and places you within a fly cast of some of the best fishing in the world. 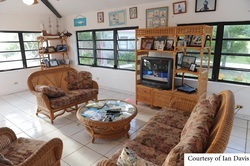 The lodge stretches over a quarter of a mile and outside every room there is a great view of the ocean. All twenty-nine rooms are clean, comfortable and air conditioned. Each comes with a private bath, a personal refrigerator and a ceiling fan. The rooms are generously sized for all of your tackle and belongings. 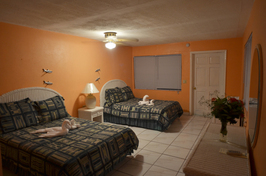 We now have single rooms, double rooms, and even two triple rooms available to better accommodate your needs. Daily housekeeping and laundry service are provided. In May of 2003 Captain Rupert Leadon announced the acquisition and merger with AIBC’s neighbor, Creekside Lodge (formerly Cargill Creek Lodge). With this addition AIBC can now offer great new amenities. As our guest, you will enjoy the freshwater swimming pool with surrounding patio. Offering satellite television in addition to a full service bar, the indoor lounge adjoins the dining room and is a comfortable place to relax. The bonefishing mecca of Andros Island and the superb hospitality at AIBC come together in a tropical paradise. A place where you can fish the seemingly endless flats, relax in a shaded hammock and absorb the beauty that surrounds you at the Andros Island Bonefish Club. Now FREE Wi-Fi in Every Room! When it comes to saltwater angling.....you are only as good as your guide! 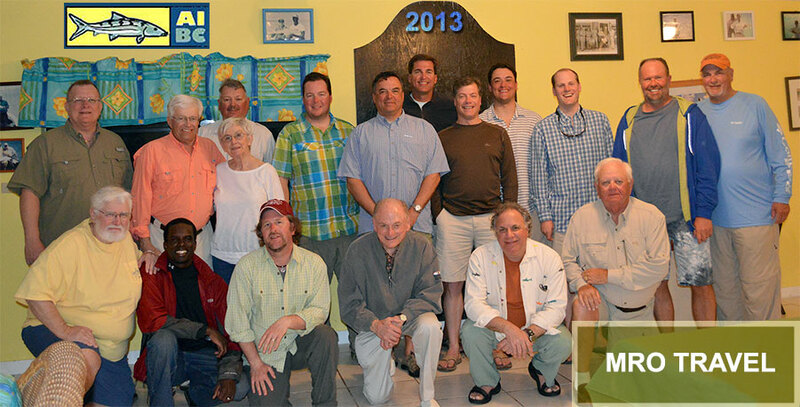 With over 50 years of experience, the team at Andros Island Bonefish Club is first rate. Owner and head guide, Captain Rupert Leadon, had long been considered the foremost expert on fishing the vast flats and waterways of Andros Island. That tradition is carried on today through his son Shawn Leadon and the staff of guides at the club. 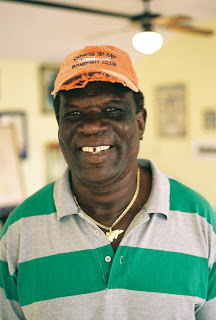 He loves hosting and guiding and has passed his enthusiasm and commitment to service on to the rest of his staff. Shawn personally leads and trains his competent staff of native guides....most of them family and have all been guiding since their teenage years. As proficient anglers themselves they are highly capable of putting you on fish as well as helping you to perfect your saltwater angling technique. They work as a team sincerely caring about the success of each angler. You will love these guys! It is a team effort. Guides, office staff, kitchen staff, bartenders, housekeepers, landscapers and maintenance staff all work together to make each visitor’s stay with us a memorable one. 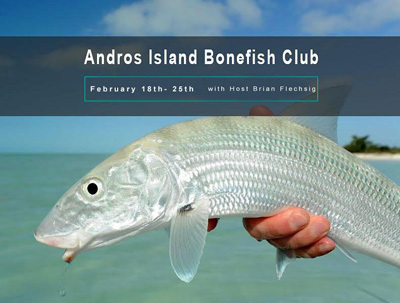 Join MRO at the Andros Island Bonefish Club for some absolutely phenomenal saltwater fishing. We have been working with these folks for many years now and look forward to continuing the tradition! 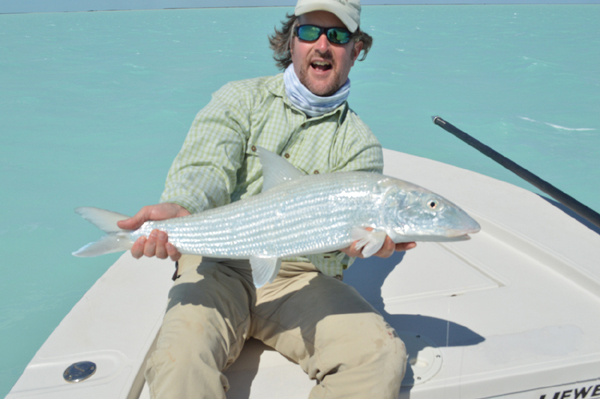 Lefty Kreh says that Andros offers the best bonefishing on the planet. You won't believe the size of these fish!!! This is always a trip of memory for anyone who joins us. These trips are so easy! You get to Nassau from your home base....then a simple "puddle jumper" over to Andros Island. We'll meet you at the Fresh Creek/Andros Town airport and take care of the rest! On our hosted trips, a representative from Mad River Outfitters will be along with you to ensure that you have the trip that we promised. If our dates don't work for you, please remember that we serve as a Full-Service Booking Agent for the lodge and can help put a trip together at any time. A detailed equpment listing will be provided upon sign-up but basically you need to show up with an 8wt and a handful of leaders and flies!!! Any questions please don't hesitate to contact us at the shop via phone or e-mail. Included in the trips: Lodging, meals, guided fishing on flats boats for the duration of your trip. Government room tax and laundry service is included. Pricing based on double occupancy, two to a boat. If you wish to room/fish alone, we can get you a price on this. A 50% deposit is required for a reservation and full balance is due 60 days prior to arrival. Any cancellations must be made by that time also. A $50.00 cancellation fee will be assessed to any cancellations. Cancellations within 60 days are not entitled to a refund. Trip Insurance is highly recommended. Our trips offer very competitive rates. We believe that you get what you pay for and there is no better value than AIBC. Don't take chances on a budget trip.....your time is too valuable! * prices based on double occupancy. If a shorter stay is required, you would really need a partner in order to get this double occupancy rates. Please call if any questions. To book a trip with us to the Andros Island Bonefish Club, you can simply give us a call at the shop or shoot us an e-mail Trips can also now be booked through our online store. We will contact you with a confirmation before your card is charged in case there are any fine details we need to go over.